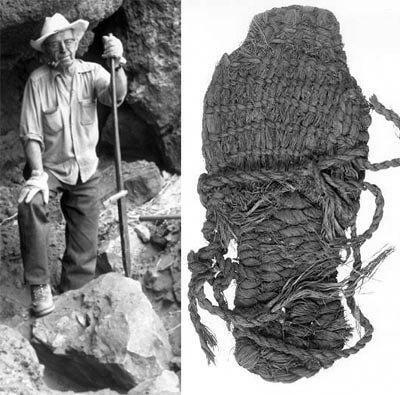 Footwear is much older than you may realise, in fact, 70 years ago a rather important footwear discovery was made by an archeologist known as Luther Cressman in Central Oregon. Luther found a pair of sandals, that were believed to be somewhere in the region of 10,000 years old. It seems, even in these olden times, men were still aware that shoes not only could be functional and practical, but could also be stylish too. Intricately woven and styled, even these sandals were able to look good and be comfortable to wear too. Shoes are still a vital part of everyone’s wardrobe and whilst it may be through that women’s shoes were the biggest market, men’s shoes are important too. So, with this in mind, we have put together somewhat of a guide to all things men’s footwear. Not only to explain more about the different types of shoes and boots that are available, but also to make sure that you know which ones are going to be right for you. Why are men’s shoes important? You may think that your footwear isn’t that important, but you have to remember that your shoes are what carry you throughout the day. It is thought that during an average day, the shoes that you wear will need to take the force of your weight as many as 3000 times a day. This means that with every step you take, you could be damaging your feet, ruining your posture and of course, leave you feeling hugely uncomfortable too. Then there comes appearance. Whilst they make up part of a killer outfit, your shoes are actually completely separate and with this they are somewhat of a visual endpoint. In fact, despite the fact that they only make up as little as 5% of your overall outfit, the shoes that you wear make up as much as 30% of someone else’s impression of you. So, how do you pick footwear that is the perfect combination of style and comfort? The best way to approach this is with the four footwear rules. This is one of the most common mistakes made with men’s shoes. Selecting footwear that doesn’t match the occasion. Every shoe that you can buy and wear has its very own purpose. Running shoes are for running, steel toe boots are for working and formal shoes are designed to match a suit. Keep these basics in mind and you are sure to find the perfect shoe to match your outfit. We all know that there are some shoes out there that could be seen as a little on the costly side, and plenty of men simply cannot spend out a vast amount of money on shoes. However, it is always worthwhile seeing it from this point of view, if you spend out on inferior quality shoes, then chances are that you are going to need to replace them frequently. If you spend out on shoes in the first place, then you are likely to find that they are going to stand the test of time. Not only this, but when you buy men’s shoes, such as from Joseph Cheaney or another popular quality brand, then you may even be able to re-craft and re-sole those shoes, making sure that they last even longer. You should always make sure that you are buying the right size and fit shoe for your feet. Of course, this can make it more expensive, particularly if it means that you need to visit a store rather than online. However, you really cannot put a price on how brilliant it can be to find shoes that fit you properly. Not only does this mean that you will be comfortable, but also your feet will be properly protected with every step that you take. Every man has different sized feet, some will find that they require narrow fit and some wide, this means that it is important to not only get the size right, but the width too. When you have made an investment into good quality shoes, then you should always make sure that you take proper care of those shoes. The most basic care that you can give them is to wipe and polish them on a regular basis. You can also rotate through a few different pairs to ensure that they are able to dry and rest. A great investment when it comes to shoe care is wooden shoe trees, particularly for leather shoes. They not only give you somewhere good to store them, but also means that they can dry off, quickly soaking up any perspiration. So, now we move onto the lingo that comes with footwear. Knowing this may not be vital, but it will help you to understand more about buying the right shoes. Sole- the sole is the bottom part of the shoe or boot. It can be divided down into the outers sole, the mid-sole and the insole. Upper- this term covers everything that is above the sole of the shoe. Brougeing- brougeing is when you add an ornate touch to your shoes. It involves carving tiny holes in a particular pattern into the leather of the shoe. 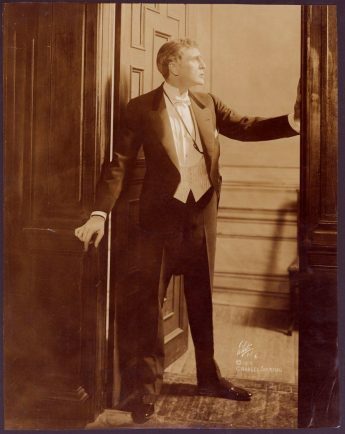 This is often seen in formal shoes. Open Lacing- you might not realise it, but there is different ways to lace your shoes. Open lacing is one of the two lacing systems that comes with oxford shoes, this system delineates the shoe and the tongue and vamp are cut in one piece. Insole- the inner sole is the part of the sole where the foot rests. This is one of the most important parts of your shoe, a good insole will mean that your shoe can really last and stand the test of time. Heel- this is the back portion of the shoe and is the part that comes into direct contact with the ground. The heel gives elevation to the foot and are built from around 2 to 4 pieces of leather that is often reinforced with both metal or rubber. Round laces are usually stronger and have a much more formal appearance. However, ribbon laces are more elasticated and come in a real variety of colours too. Men’s footwear isn’t as straight forward as you may think, in fact, there are a number types and options that you can consider. The Oxford style of shoe are lace-up shoes that come just below the ankle. This type of shoe is often divided into two different styles, either the balmorals or the bluchers. The difference comes with the type of lacing that they have. The balmorals have a closed lacing system. They are normally finished in a more simplistic style then bluchers and are seen as being ideal for formal wear such as suits. The blucher style is available in a larger variety of colours and styles. This means that many men choose them as their go-to pair of shoes. They will match a variety of different looks within their wardrobe, however, if you are thinking of wearing brogues, then you may want to pair this with casual wear. less formal than other options, however, this doesn’t mean that you can’t team them with suits. That said, the best approach to choosing an outfit with these type of shoes is to team them with grey flannel trousers and a sports jacket. Slip on shoes can be broken down into further categories. This includes moccasins, monk straps and tassel loafers. Whilst slip on shoes could be seen as casual footwear, they actually fit into the formal bracket. Whilst formal shoes are important to make sure that you look your best for an important event, you should also know more about the casual styles too. A popular casual style is the Derby shoe. This particular style of shoe is distinctive as it has shoelace eyelets sewn onto the vamp. It used to be a popular style for those who hunted or completed sport during the 1850s. Another style that you can choose in casual shoes are boat shoes and top sliders. These, as the name suggests, are made to be worn on a boat in order to prevent slipping. However, they soon made their way from the water into men’s wardrobes. They are often seen as a summer style of shoe and are worn without socks during the warmer weather. If you are a fan of Solovair boots or Dr. Martens then you are a fan of leather laced, heavy sole shoes. These are expensive types of shoes, but they if you buy good quality, then they are known to definitely stand the test of time. A popular casual shoe, they have rubber soles and give off a heavy appearance. 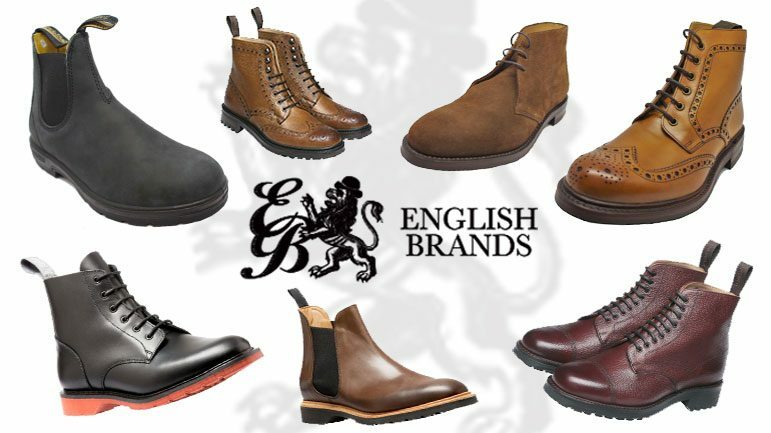 If you do not buy a quality variety of this shoe, then you will quickly find that whilst they may fill a niche, they are not going to last you as well as other shoes would, and you may find that your money is better invested in the best quality boots instead. Whilst you can buy dress loafers, you can also buy casual loafers too. Leather loafers are similar in their style, but they have a more casual upper as well as a heavier rubber sole. The style of these particular shoes will vary, however, they are designed to come somewhere between canvas shoes and dress shoes. Comfortable and solid, one of the recommended brands to purchase leather loafers is John White shoes. The final form of men’s footwear that you may need to consider for your wardrobe are boots. Boots come in a smaller variety of styles that shoes do. Dealer boots are seen as a form of work boots, if bought in the best quality, they will last you for years. It is vital that these form of boots are comfortable because they are often worn for long periods of time, stood on your feet. They can be re-soled if needed, which means that you should always pay for the investment of a good boot rather than buying cheap alternatives. Another option for boots are dress boots. These are broken down into a wide variety of different styles and come from a number of manufacturers too. The Loake Chelsea boots were made famous by the Beatles and you can also opt for the John White collection too. Dress boots are not only designed to help keep you comfortable if you hike or walk, whilst some are bought and worn for style rather than function. Whilst you can buy shoes from the store or online, there is also the option to consider when it comes to bespoke boots and shoes. Back in the day, shoes and boots were all made to measure. They were made one at a time and the status of the man buying the shoes would then have an impact on the shoes that they could buy. Whilst mass manufactured shoes are the most popular form of footwear, there are still artisans out there who make custom made and bespoke shoes that are made to fit the man perfectly. The thing to remember when buying these types of shoes is that they are going to cost you. After all, they are made with the finest materials and they are incredibly time and labor intensive too. Despite this, the waiting list for some of these shoes can be as long as 3 years, which means that you will need to carefully consider this before putting your name down. In order to produce custom made shoes, the shoemaker will need to examine your foot, they will suggest to you which style and design is going to be best for your needs and feet and then build lasts, which are replicas of your feet, which the shoe will be built around. Then comes the magic, they will select the perfect materials for your shoe. They will cut the insole, prepare the upper, sew the welt, sole the shoe and attach the cork filling. They will also insert the steel shank spring, stitch the outsole and build the heel. Before finishing with a final shape and decorative details too. You can expect custom made shoes to take around 15 weeks in total. Recommended shoe makers are Joseph Cheaney shoes and Gaziano & Girling. As you can see, footwear is so much more than just something that you wear on your feet. They are the things that carry you, that allow you to walk tall and proud! They should be something that you invest in, that you pay out for and that you treasure for a lifetime!